Here's a new set of lunch notes for the new school year! 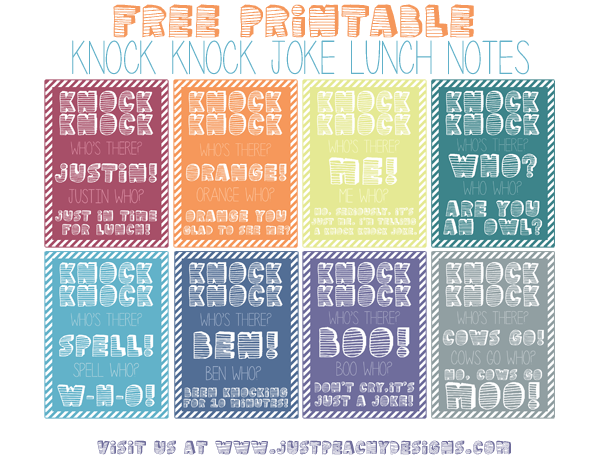 These feature silly knock-knock jokes your kids can entertain their buddies with at lunch. Just click the image above to download. Enjoy! To see more free printable lunch notes, just follow this link.